Yorkey Landscapes - Your key to great scapes Design, build and maintain quality gardens and landscapes to suit the needs of clients and surrounding environments. Gardenridge was established by Don Thomson in 1989 offering landscape design, construction, and maintenance services across Melbourne. 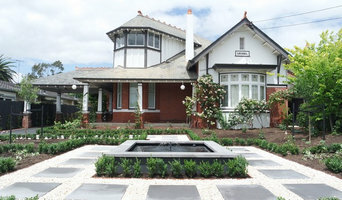 While starting out small, performing landscape works mainly within the domestic sector, Gardenridge grew during the early 1990’s incorporating commercial landscape projects and local government work to arrive at the Gardenridge of today – a multi faceted landscaping company providing a full suite of services from landscape design through landscape construction to garden maintenance, from the smallest courtyard garden to broad acre landscapes across Melbourne. At Intrinsic Landscapes we have over 10 years’ experience in creating diverse styles of landscapes on various budgets for Residential, Commercial and Body Corporate projects. We pride ourselves on making sure all aspects of our jobs are consistently up to the highest standards in the industry. Great importance is placed on developing informed and inclusive relationships with our clients. Trust is built by delivering the outcomes that we promise. From our first meeting we will complement your vision with our innovative ideas and suggestions on contemporary methods and materials. Throughout the job we remain in constant consultation with you to ensure all stages of the construction process flow seamlessly. Our talented and diligent team show great attention to detail so a very high level of quality control is applied at all times. The combination of these elements guarantees a visually stunning and functional landscape which exceeds expectations, delivered on time and budget. Cutting Landscape Constructions understands that landscaping is all about balance. We know that too much of one thing can be off putting, this is why we design our landscape to have a variety of different materials and products which includes a wide variety of turf, retaining walls, decking, paving, timber structures, drought tolerant plants, pebbles and mulch. When we create and construct all of these textures and colours together along with our client’s taste we can transform even the dullest backyard into a tranquil private getaway that you will enjoy coming home to everyday. We understand about today’s day and age with water restrictions and growing prices of product and materials, so we work in conjunction with local garden/stone suppliers and tradesmen to install economic but long lasting landscapes. Cutting Landscape Constructions can also install slow release irrigation systems and we specialise in drought tolerant gardens and lawns to deal with today’s restrictions. Our designers also work with a huge range of local materials, quarries, suppliers and highly qualified tradesmen to achieve the most economical and enduring landscapes for your masterpiece. Chadi Chahoud as the principle of Jaru Designs brings amazing ideas to life. Chadi's professional team can design your next project to your personal needs. All our work is custom designed and made, we pride ourselves with our unique designs and attention to detail. Our experience allows us to bring to life featured walls, sculptures and timeless landscaping projects We would love to be part of your next project, Give us a call! Maroondah Landscapes is a bold and innovative Landscape Design, Construction & Garden Maintenance company managing both Residential and Commercial Landscape projects throughout Melbourne. This dynamic family owned business was founded in 2003 by Russell Sweetman who brings a wealth of experience and knowledge to his dedicated team who deliver a solid level of professionalism and quality workmanship. The absolute landscaping experience encasing the journey with all aspects of landscaped gardens from concept, design, landscape creation and programmed maintenance. Whether you are looking for an entire solution, a brilliant design or regular garden maintenance – our specialised teams deliver spectacular results every time! Maroondah Landscapes is a member of Landscaping Victoria, Master Builders and is a Registered Building Practitioner – permitting us to construct all aspects of Landscaping. Rising Sun Landscaping led by Shane Porter and his team will deliver quality landscaping construction that will create a professionally finished and unique outdoor environment. Shane has twenty years experience and has gained a reputation as a reliable and creative craftsman in landscape construction. Shane was an advisor for the second series of the television show the 'Block' . 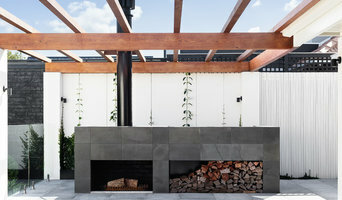 His work has also featured in Vogue and Outdoor Design and Living magazines. Shane's eye for detail and professional finish ensures that projects will be delivered on time and on budget with stunning results. Shane's approach involves three stages: Consultation Key to Shane's professional no-nonsense way of working is effective and straight forward communication and an understanding of the site, your ideas and your lifestyle. Shane will draw up a design brief and provide a realistic fee proposal to suit your budget. Design development Shane can work with an existing design or create a concept design with you that will suit the site, the climate and the features required. Shane is able to adapt designs and ideas to suit your budget. Construction Documentation Shane will prepare specifications for your landscaping design project and provide them to relevant authorities for approval. Ground Level Landscaping was first established in early 2006 and whilst there’s been many changes in the industry, not much has changed with our service and knowledge. And it’s been our ability to adapt that’s led to our success and becoming a reputable name trusted amongst builders and home owners. From the smallest courtyards, through to display homes, you can rest assured that you’ll get the best advice and product knowledge available to turn your garden into your own sanctuary. 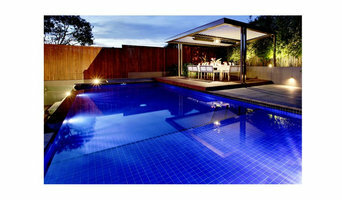 Built Landscape Constructions is a Melbourne Landscaping company founded in 2013 by Brent Cormack. 20 years of industry experience. We pride ourselves on being the innovative leader in all areas of residential and commercial landscape construction. We aim to maintain world class systems and processes to optimise our client experience, products and services, and to uphold a well known reputation for creating and delivering quality tailored projects. When Landscaping homes we encounter a wide range of project requirements. We specialise in structural landscaping, including paving, retaining walls, fencing, concreting, decking, pergolas, stone, pool surrounds, rock walls and earthmoving. Our Integrated Management Systems allow us to produce a standard that drives originality and builds value into every Landscaping project we take on. We have a strong focus on safety and ensure an emphasis on this throughout all aspects of our work. Indiscape specializes in the use of indigenous and native plants in contemporary Landscaping design and construction. Re-thinking the way we use indigenous and native plants is the way forward for the sustainability of our environment; it can be not only cost effective but fresh and inovative. My name is Brad Hood and I’m the owner and founder of Grass by the Metre. I started specialising in artificial grass because I found homeowners had a greater need for synthetic lawns in the mighty land down under. There’s several reasons, including our drought conditions and our busy work/life schedules, which don’t give us time to maintain our lawns. It’s also a cleaner and near maintenance free alternative for gardens. Most of us out there appreciate a lovely garden with beautiful lush grass. So this is why I invested a great deal of time and energy into designing and creating my own range of natural looking artificial grass for landscape and sports applications. We only use the best quality materials in manufacturing our artificial grass and this can be seen in the end result of our designs. My team of 6, including Helen, Archie, Adam, Drew, Matthew and myself, lay thousands of square metres of grass annually; and between the 6 of us we have decades of experience. Grass by the Metre offers a seamless service from start to finish and we guarantee your satisfaction. We offer an exceptional price for the top quality artificial lawn we install and I know you will be pleased with your result. Ingardens has been creating gardens for over twenty years. We provide a consultation, design and construction services for all aspects of landscape to create your perfect garden, be it an inner city courtyard to a rural retreat. 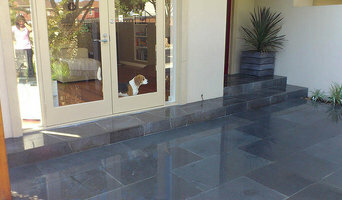 Love it Landscaping provides professional landscaping for both commercial and domestic dwellings. Our focus is on exception quality and the highest standard of workmanship. 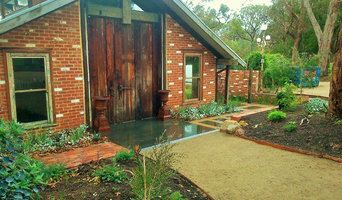 Our company comprises of fully qualified landscape gardeners and a team with years of experience within the industry. Love It Landscaping is a one stop shop for all of your landscaping and maintenance needs.